I’ll be back shortly with full details of my next actual convention (at the East Midlands Comic-con) appearance shortly, but just wanted to give everyone plenty of time to plan for what will be a completely epic — and likely not to be repeated — event. 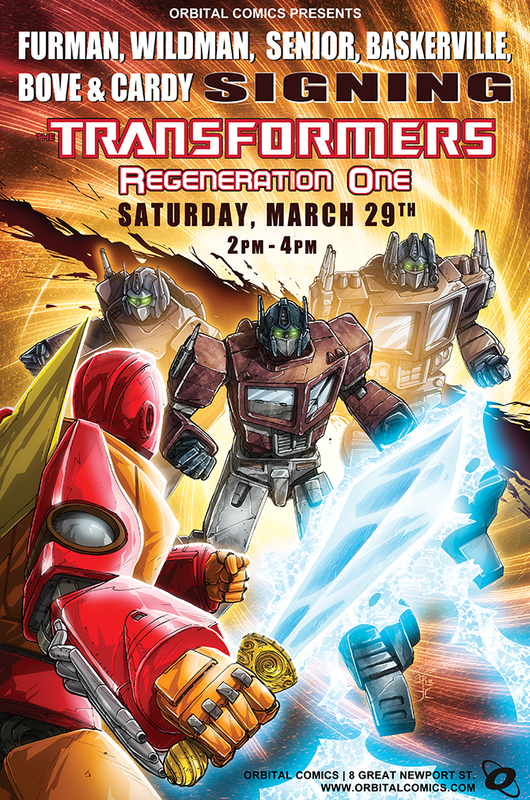 On Saturday March 29th, the entire Regeneration One team, minus Guido (it’s just a mite more difficult to him to pop over to London), will be appearing at London’s Orbital Comics to sign copies of Transformers: Regeneration One #100, the totally awesome final issue of the Transformers series that started it all. Myself, Wildman, Senior, Baskerville, Bove, Cardy… we’ll all be there, signing our socks off. It’s a nice bookend too, as over 2 years ago we all gathered at Orbital to sign the just-released RG1 #80.5. UPDATE – Hi all, I’ve been advised that this ship date (which I’m pretty sure I saw reported as the 19th earlier) has slipped to the 26th of Feb. So you got your Script (W)rap a week early! 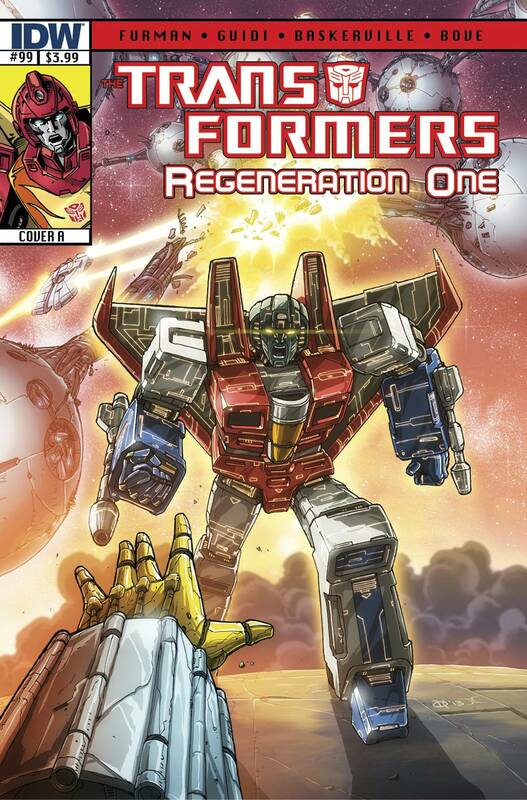 “And so, the end is near.” Uh-huh… the honest-to-gosh, accept no substitutes penultimate issue of Transformers: Regeneration One is upon us. 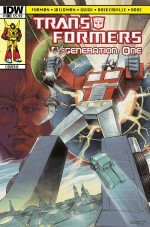 This week (Wednesday 19th February) sees the release of Transformers: Regeneration One #99, and what is truly the beginning of the end. We’re almost at the last hurdle, the reveal of the true force behind… well, a ton of stuff, both in Regeneration One and a clutch of the 80 issues that preceded it. But first, there’s a pretty monumental obstacle to overcome in the shape of Senator Jhiaxus and his new Cybertronian Empire. At this point, if you want to avoid even the very vanilla spoilers herein, cease and desist reading immediately. Otherwise, prepare for a truly desperate last tilt against impossible odds, as Rodimus Prime (surrender or no surrender) looks to scupper Jhiaxus’s plans for universal conformity and order. Elements in the mix that could just give him the means and opportunity for such a counter-offensive (elements Rodimus is not even aware of himself as we join the action) are a somewhat clandestine rearguard action set in motion by Kup (last issue) and the enduring/looming presence of Underbase, the collective pool of Cybertronian knowledge and experience that appears to have transcended its apparent destruction/death (in issue #50). What (or who) exactly lives on in the very heart of Starscream? And what can even it do against a foe that is legion? Also, because even all that is never enough, we learn more about the fate of Spike Witwicky (and the phenomena known as Zero Space), the Primordials reach an… evolution(? )… and the surviving humans bring out the big guns. And the true enemy is revealed. PHEW! And just for good measure, CRIKEY! Even I can’t bear to watch… (Look out for a full preview of the issue soon… I’ll update as and when that’s live and viewable). Check out my interview (largely about Regeneration One #100) over at Comic Book Resources. The interview contains mild spoilers and a first look at some of the art. It can be found here. Now my convention-worn feet have had a chance to shrug off their corns, I’m on the road again for the 2014 circuit of conventions, personal appearances and signings. And of course, this being the 30th anniversary of Transformers, that puts an extra spin on this year’s cons for me, especially Auto Assembly in August. 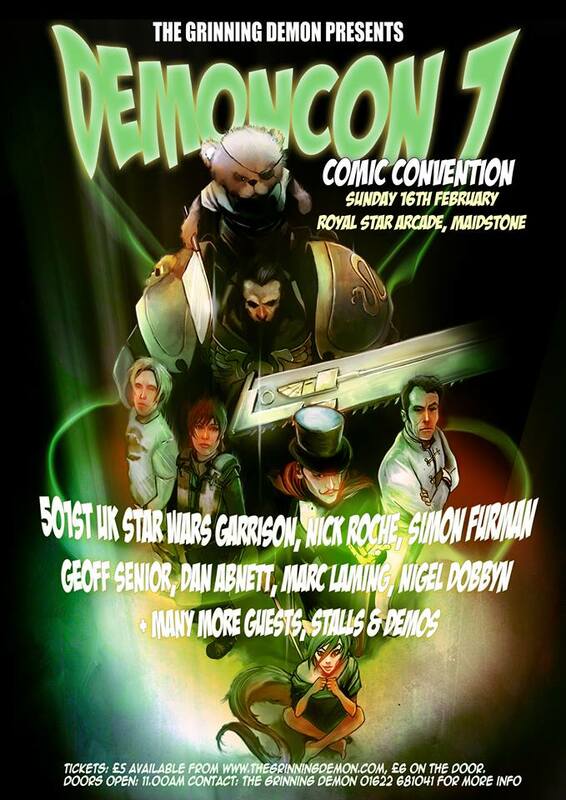 But, not to get ahead of myself, my first stop this year is in Maidstone in Kent, at Demoncon 7 (Sunday February 16th). I’ll be there, and so will Geoff Senior and Nick Roche, so there’s a nice old/new TF creators vibe to the event. This is a smallish event, but one that’s been running and gathering momentum for a while, and these often afford more time to actually spend chatting to people rather than just cranking out the signatures. Will I spill the beans about what’s coming up in Regeneration One #100? Well, I may drop some BIG hints. Plus, I’ll have my usual pile of signed script+comic packs, original [facsimile] scripts and comics (Transformers Death’s Head, Dragon’s Claws, etc) with me, so if you get a chance pop along and say hi. Details can be found here, or in the image below. You are currently browsing the simon furman blog archives for February, 2014.